After that experience, I quickly learned how to set my boundaries with spirit. 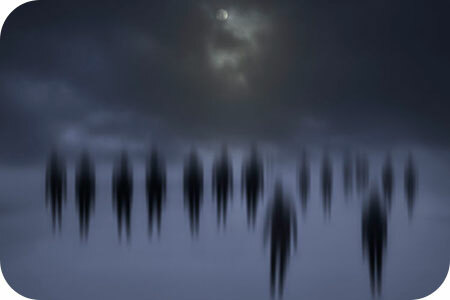 The first rule is, no negative spirits or entities allowed, no exceptions. To this day, almost 30 years later, I connect only with spirit that comes in the highest and greatest good of whomever I am working with. Period. My second boundary, which is not so hard and fast, is that they only come when I am in a space of working with a client, or when I am seeking guidance or answers for myself. And when we are done, they have to go. Occasionally, spirit will pop in with random messages for someone close to me, or someone I am able to deliver a message to outside of a formal consultation. Of course, I am happy to help whenever I can… and spirit can be persistent! They often will keep badgering me, until the message is passed on to the intended person. When that is done, they respect the limits I have set and are gone. Once in a while I do have to consciously send someone off who seems to be getting too attached, but for the most part I enjoy communicating and passing messages along, as they always seem to bring peace to whomever is involved. Connecting with those who have crossed over can be rewarding and bring insightful information, but it can also be draining, distracting and even harmful if clear boundaries are not set ahead of time. In this physical realm we are completely in control of our own process with spirit, and our own experiences with spirit, as they can only affect us energetically and emotionally if we allow it. When we move into fear with a spirit presence, like the one that came to visit me that day, they can feed on that and try to take control of the situation. Feeding a situation with fear or anxiety then draws more of that type of spirit towards you, and can become a spiral. Keeping your vibration high, and not feeding energetic fear, keeps negative spirits away. You are completely in charge of setting whatever boundaries make you comfortable during your encounters with spirit. Passing on this information and coping techniques to my friend’s daughter gave them both a sense of control, as they became aware of their own power in the situation. Mediumship can be rewarding and insightful. It is truly a gift to be able to connect with those who have crossed over, to bring messages of reassurance and guidance from the other side. For whatever level one chooses to connect or not connect with spirit, it is important to maintain strong, definitive boundaries. It is vital for our own energetic well-being and peace of mind. Suzenn is a gifted intuitive reader, channel, counselor and guide, and is currently a staple at two local fairs in Texas, where she currently resides. She has been providing accurate readings for over twenty-two years, and she has followed the synchronicities that have led her to new and exciting territories, outside the norm. Her practice has included readings at a large metaphysical bookstore, at conventions, and for clients on-line, all of which have helped her to cultivate an established client base. Clients include CEOs, fitness personalities, and she's the reader that other psychics go to for advice! Her readings include remote energy sessions, Mediumship, inner child healing, chakra balancing and psych-soma healing. If you'd like to experience a major shift in your life, release past trauma, or just be able to embrace your inner child, you'll not encounter a more caring, non-judgmental, and uniquely gifted reader. You can find Suzenn at PsychicAccess.com.